Advantek obtained U.S. Design Patent No. D715,006 (“D ’006”) on a “gazebo” without a cover, the gazebo essentially being a portable kennel. Figs. 1 and 2 from D ’006 are reproduced below. During prosecution of the application that later became D ’006, the Examiner issued a Restriction Requirement. The Requirement split the application into two groups: a gazebo without a cover, and a gazebo with a cover. 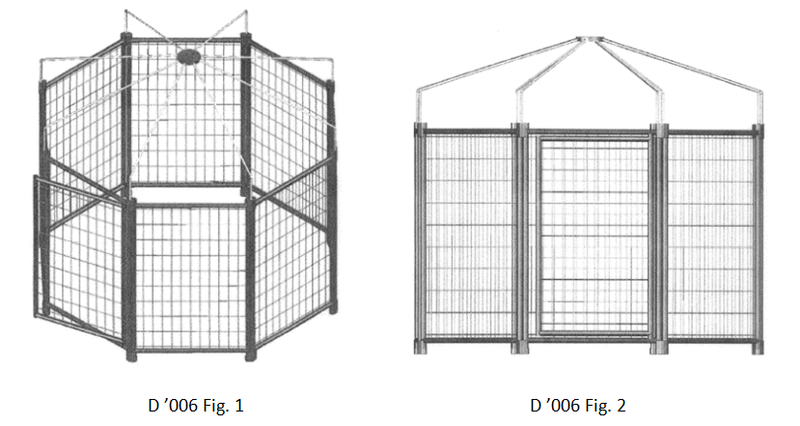 According to the Examiner, the “designs as grouped are distinct from each other….” Despite disagreeing with the Requirement, Advantek elected to prosecute the “gazebo without a cover” (as shown above) and cancelled a drawing that showed the gazebo with a cover. After further prosecution to overcome formalities objections and § 112 rejections, the D ’006 patent issued. By Colin B. Harris, Patrick L. Miller, Monica Yoon & Brian D. Fisher, Jr. The U.S. Patent and Trademark Office (USPTO) held its 12th annual Design Day on April 25, 2018. 9:00-9:15 - "Welcome and Kick-off" - Andrei Iancu, the new Director of the USPTO, kicked off this year's event with a welcome address. By David M. Longo, Ph.D.
A few years ago, I wrote an article (available here) about Deckers’ mixed success in a 2014 lawsuit against retailers JC Penney, Wal-Mart, Sears, and Dreams Footwear, for design patent infringement, trade dress infringement, and unfair competition, among other asserted causes of action, in the U.S. District Court, Central District of California. Since then, Deckers has tangled its laces with many other defendants over similar issues—the majority of which were before the same court. Well, Deckers hiked back to court on Valentine’s Day to profess that there is no love for those who might tread on their design patents. Deckers laced up another five pronged Complaint—this time against Reliable Knitting Works, Wal-Mart Stores, Inc., and 10 other unnamed defendants—and filed suit in the Central District of California. See Deckers Outdoor Corp. v. Reliable Knitting Works and Wal-Mart Stores, Inc., C.D. Cal., Case No. 2:18-cv-01217 (Feb. 14, 2018). GLO SCIENCE, INC. (“GLO SCIENCE”) recently asserted two design patents directed to mouthpieces against multiple parties in different jurisdictions. This is not the first time the two design patents have been asserted, however. The design patents have been asserted now at least eight times, leading to settlements in at least three of the cases. The multiple patent infringement suits and settlements, perhaps, underscore the valuable part design patents can play in a patent portfolio. As discussed before, some of the key advantages of design patents in the litigation context include that they are relatively difficult to invalidate, the alternative remedy of the “total profit” on an infringing “article of manufacture,” and injunction and exclusion order remedies. Specifically, U.S. Patent Nos. D636,074 and D765,255 were asserted on January 30, 2018 against Oral Care Products, LLC in the U.S. District Court for the Southern District of New York (complaint) and against ANGELO DE SIMONE, TRUECOMPANY LIMITED, and MILLION DOLLAR SMILE, L.L.C in the U.S. District Court for the Southern District of California (complaint).